Too much stuff so you need a bigger desk for working? No problem. Our standing desk with three feet is the right solution. 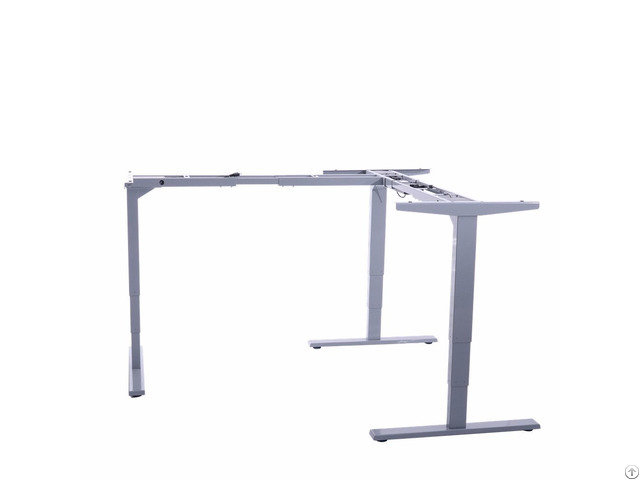 Taking some similar space, standing desk with three feet supports a bigger tabletop where you can put all your stuff on and focus on your work. The latest technology minimizes noise and shaking, so no worry that water will spit out of your mug. Easy operations allow new users quickly learn the process. 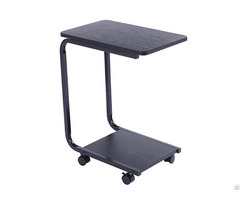 In addition, memory function remembers your favorite height, so you can easily adjust your desk to the perfect height if you are tired of sitting all day. Plus assembly and disassembly take few steps. Everyone can simply do it by reading the instruction manual or watching the video. 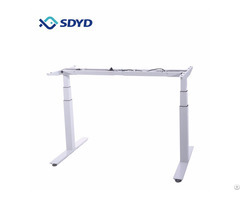 SDYD designs, manufactures, and supplies standing desk, sit stand desk converter, as well as accessories including column and control. Since 2017 SDYD has built a solid track record supplying smart office solutions to many commercial, collegiate and residential projects. Clients have chosen us for consistent quality, superior design and pleasing aesthetics. 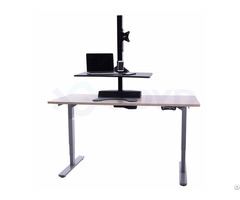 Our mission is to provide customers with healthier ways of working through our adjustable desks which seamlessly blend into home, office and building environments with style and elegance.